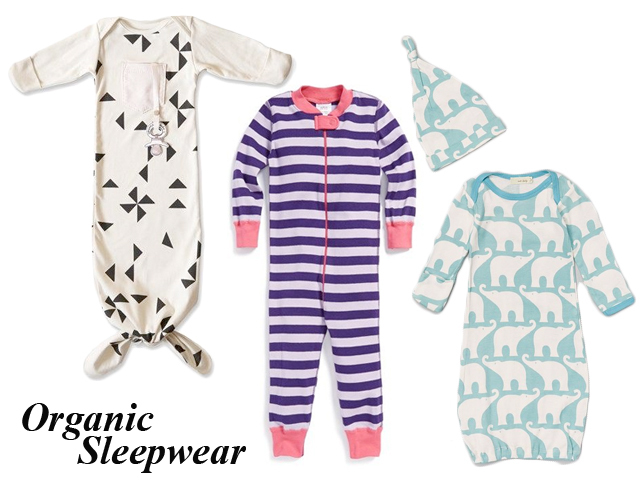 Electrik Kids organic sleepers look like little Cindy Lou Who would wear them, don't they? I love the tie closure at the bottom, not just because it's adorable, but because it's so easy for nighttime diaper changes. Hanna Andersson makes high-quality, brightly colored toddler and infant clothing. Alhough not all of her line is made from organic cotton, most of the sleepwear is. In fact, more than 60% of her line is Oeko-Tex certified. Here is the onesie above from Nordstrom, and several other options. Kate Quinn Organics is an adorable (but still tasteful) line that I can't stop ogling, from the blankets to the sleep sacks. This "Baby Road Set" from Mayron's Goods has everything you might need for baby while on the road, and all of it is made from organic oils and ingredients. Babyganics products: you can make your own "New Mom" gift collection by shopping separate items at Target or other drug stores. 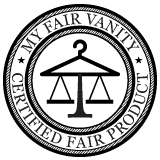 This brand is a big favorite among my Mom friends, and their ingredient lists are clean, clean, clean. Etsy is awash with adorable handknit and handmade wear for fall and winter babies, like this hand knit wool cardigan from Camp and Company, but there are so many more great gift options, like this hilarious knight hat from Thoughtful Stitches (only $23) or this Yoda hat by Nita Mae's Garden. 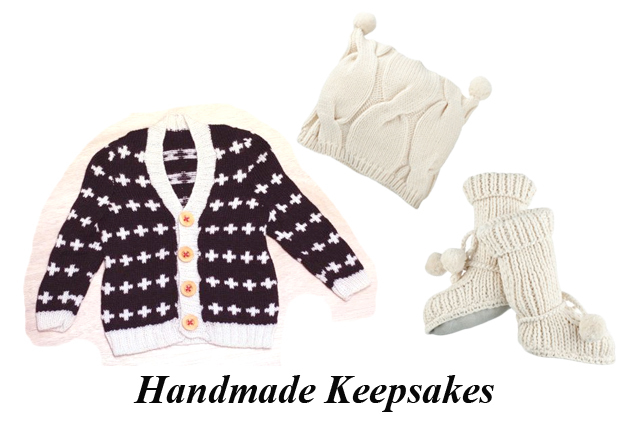 The booties and hat are by Tane Organics and available from AHAlife. Each one is handknit from the baby booties, to the hat, to the onesie, though the baby booties are by far my favorite. 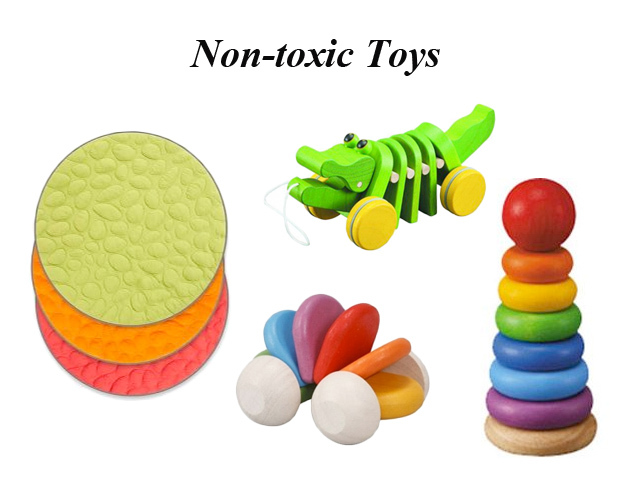 Babyearth.com has an array of affordable, non-toxic, old-school wooden toys and other accessories like this pull-toy alligator or this more modern organic playmat. I've never had a friend who is a Mom tell me I will need a diaper bag. Instead, they simply throw diapers and wipes in a ziplock and into their own bucket bags and purses. 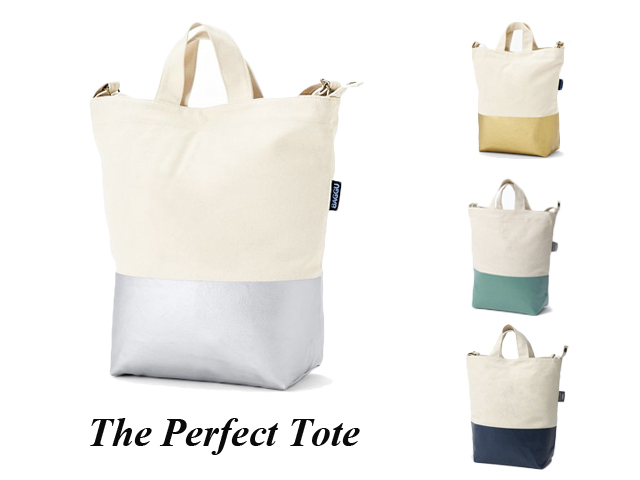 That said, everyone can use a good tote, and I feel like this Baggu collaboration with West Elm comes close to perfection. With two ways to carry it, a monogram option, several colors, and a snap closure top that makes it easy to stuff full without worrying about spillage, I think it's well worth its $45 price tag. Add to that the fact that Baggu is a thoughtful company that makes its leather products in New York City and uses only eco-friendly materials like 100% recycled cotton canvas and durable (but recyclable) nylon to make its other bags ethically in China, and I'm sold. I just can't choose a color...apparently they come without the dip-dye as well for only $26. Last but not least, they would make the perfect (eco-friendly) gift bag to hold other small shower gifts like toys, bottles, bath products. Something for baby, something for Mama. 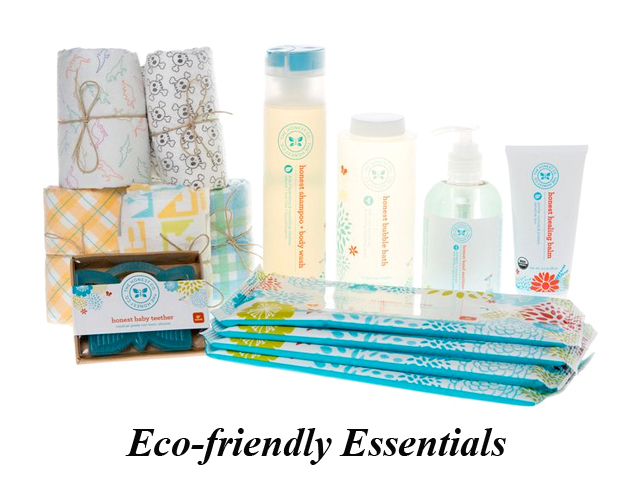 Want more eco-friendly gift ideas? 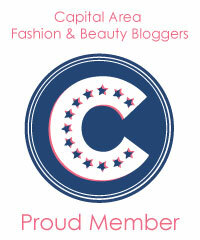 Follow my board My Fair Baby on Pinterest! This Saturday: Shop My Closet at Secondi!